Some of Patty’s City Council successes are listed below. They show why you can trust Patty to stay true to her Vision for each of us. They show how she protected our future by closing the $6 million budget deficit inherited on the first day in office. Building our future with fiscally prudent annual budgets, and by improving the cost-effective delivery of the City services our residents expect. 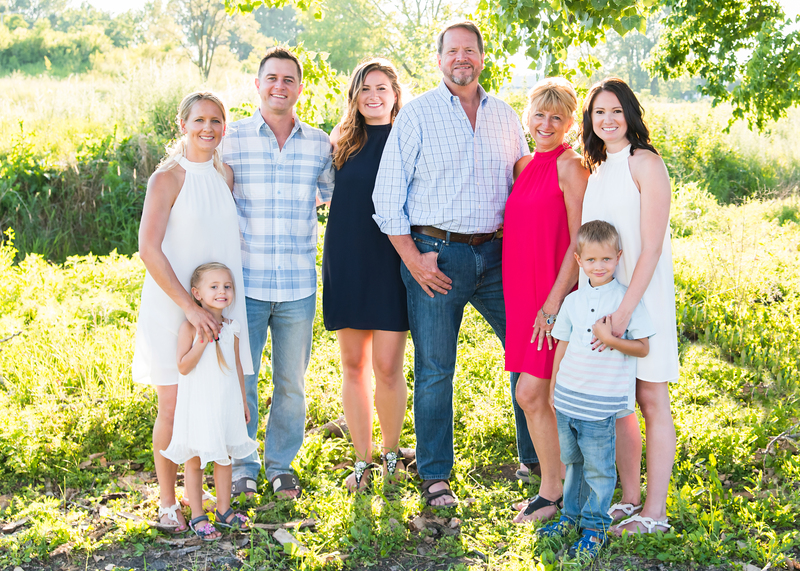 How she built upon Naperville’s “green” initiatives. How she worked to change outdated City ordinances to promote smart, efficient growth and savings to our City and the taxpayers. 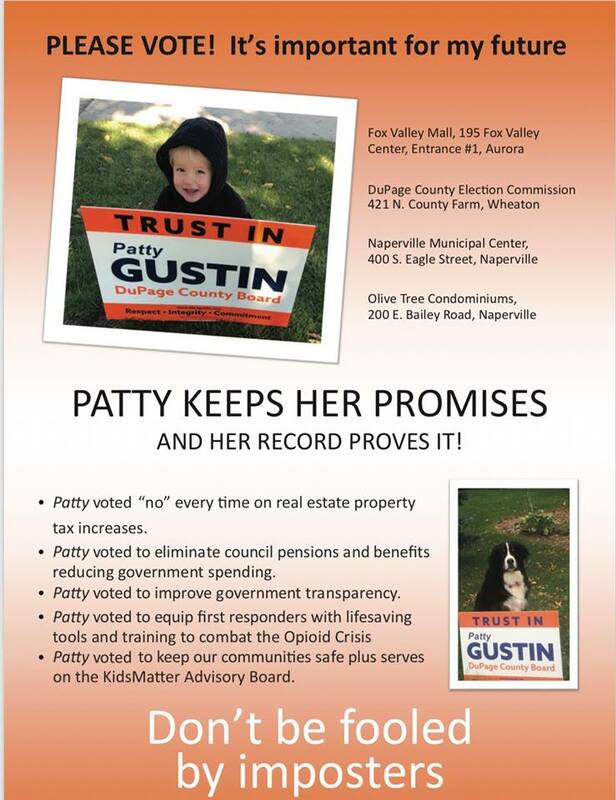 Balanced Budget and Lowest Real Estate Taxes: Patty voted to hold real estate level and resolved the $6 million budget deficit her first year on Council; the next budget years she voted to reduce real estate taxes and they are now the lowest in Naperville’s history. The City’s triple AAA bond rating was saved. Transparent Government: Patty voted for transparency to move the garbage collection fees to monthly utility bills and off the real estate tax bill. The cost is no longer hidden in the general City budget, and it avoided tax law risks with the “pass through” method used before. The garbage fee charged to every house is the same, and Patty supports the possibility of a garbage fee discount for financially-challenged seniors and other residents. Pension Funding: When the recent State actuarial report required another $2 million dollars for City pension funding, Patty voted to implement a new funding formula that makes budget planning more predictable and fair. The City’s public safety pension fund is now at approximately 80%, among the strongest in the State. Tiered pensions are now available for newly-hired employees providing future budget relief for the City. Health Savings Account (HSA) Insurance Option: Patty voted for new options to reduce the City’s employee health plan insurance costs. City union contracts now include a HSA plan, and other healthcare program modifications reduced spending by $530,000 (2016 report). Compressed Natural Gas: Patty voted for the City’s first CNG fuel station. The project will be built with private corporate funding, and it will allow the City to convert a large percentage of their trucks to CNG making Naperville’s fleet more diversified and environmentally friendly. More Online Construction Happening Now: In fiscal years 2019-2020, the City will deliver or enhance online services for electronic payment options, building permits/inspections, utility and other service requests, and registrations/licenses. Patty votes to ensure a strong Naperville economy with smart commercial growth to diversify a steady flow of businesses moving to, or expanding in, Naperville. This helps relieve the residential real estate tax base and the burden residents must carry for the City’s budget. Naperville’s commercial vacancy rate has continued to improve with the rate dropping from more than 14 percent to 10 percent. Patty supports smart development in the community, not just development for development’s sake (particularly development that risks the balance of Naperville’s economy). An example was Old Nichols Library. Patty, an experienced real estate professional and paralegal for DOJ and FDIC, understood the legal title encumbrances/restrictions imposed, but she also confirmed her predecessor community leaders’ intentions matched her legal and planning understanding. They did. Planning changes resulted. The Old Nichols Library development is now destined to match-up the City’s best development goals with prudent heritage preservation. FIGHTING TOBACCO AND OTHER INHALANT ADDITIONS: Patty led the fight to implement one of the first ordinances in the State to raise the age for sale of tobacco products and other addictive inhalants/delivery devices to 21 (T21). Some opposed T21 then, but now is being adopted across the country. Patty voted to pass an effective Humane Animal Ordinance that respects our pets are family too. https://www.naperville.il.us/search/?q=ANIMAL+ORDINANCE tab to August 2018 icon.